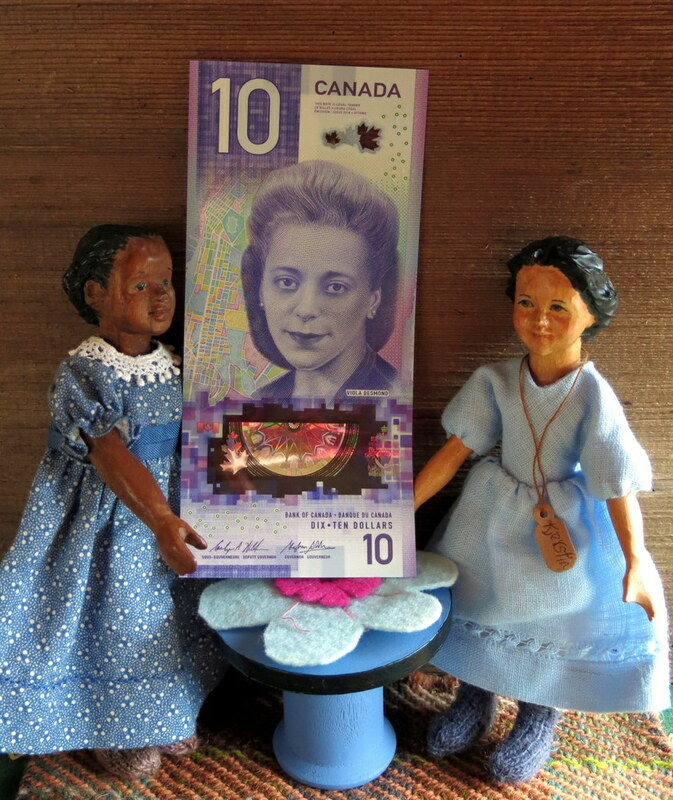 …they are fascinated by the new vertical ten dollar bill, featuring Viola Desmond – click here for a Canadian Heritage Minute about her, or here for the wiki page about her. I wonder what Tuesday and Viola will spend their money on – or whether they will keep the bill as a souvenir? Thank you for introducing me to Viola Desmond. You are welcome! We are happy you found it interesting! Thank you for the links to read about Viola Desmond. I hadn’t heard her name before. She was an interesting woman, we are very proud to have her on our ten dollar bill! The Hittys teach us so many valuable lessons and are an example of true friendship to all. Hitty Viola and Hitty Tuesday are both happy to have each other as friends, and excited about the new Viola Bill! Very interesting. I appreciate the information about this formidable woman. Thank you. She was very interesting wasn’t she? The girls watched the “Heritage Minute” over and over.